You may see him as Santa one day, bagging your groceries at Big Y another day or maybe greeting you at the door at the Ninety Nine Restaurant & Pub some evening. Francis keeps himself busy. He is a board member, advocate, artist, caring family member and friend, volunteer and an all around fun guy. Francis fulfilled a long-time dream of his when he joined The United Arc board of directors in 2018. He is an active board member and advocacy committee member, most recently visiting both self-advocacy clubs of The United Arc to speak with club members about the importance of voting. In 2017, Francis and his family were the recipients of the Dittfach Award, which was established in 1999 to honor the John and Ruth Dittfach family for their leadership efforts in establishing community-based services for people with intellectual and developmental disabilities. Francis has donated some of his artwork for our Annual Gala & Auction, including providing one of the paintings in The United Arc Gallery for 2017 that Greenfield Savings Bank showcased at their main branch in downtown Greenfield. He lives life to the fullest! Whatever Francis does, whether dueling as an auctioneer with his father Tom Campbell, enthusiastically bidding on auction packages (sometimes to the dismay of his father), working at one of his job sites, visiting with family and friends, participating in community events or just being Francis, he is the epitome of The United Arc vision that all people living with intellectual and developmental disabilities achieve the fullest expression of their lives. 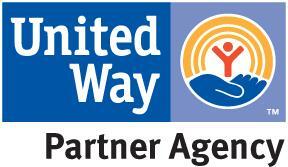 The United Arc supports people living with intellectual and developmental disabilities in achieving the universal goals of inclusion, choice, and independence. We provide services to individuals and their families in Franklin, Hampshire, Hampden, and Worcester Counties of Massachusetts.